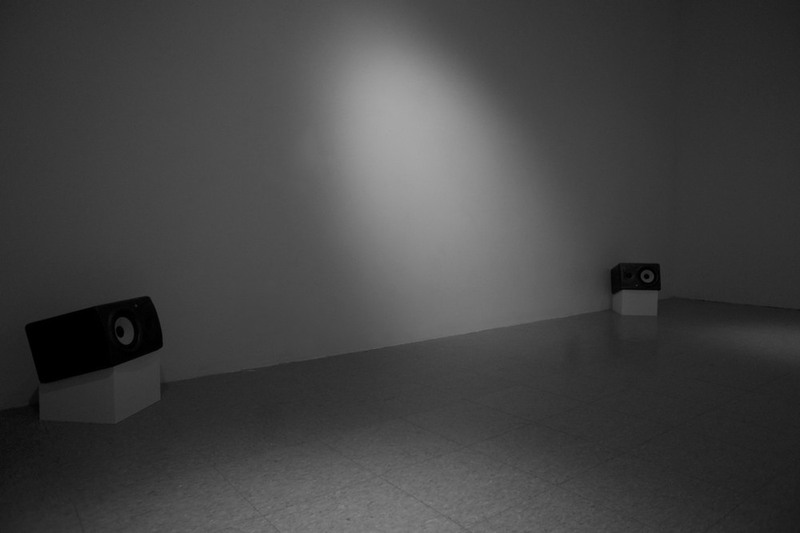 When the viewer/listener walks into the installation space of Four by Six, the sound of his or her own footsteps mask the sound produced by the installation. The individual’s auditory reflex forces his or her body to orient toward the source of the footsteps being produced by the installation. The viewer/listener assigns a human presence to the footsteps giving the sound a physical space to occupy due to the cultural rules that define personal space. This effectively defines an architectural space for the sound to exist within. The rhythm of the steps helps to reinforce the connection between the sound and a psychological response from the viewer/listener. When the pace is combined with the localized sound it creates anxiety within the viewer/listener challenging how we relate to the physical presence of sound and its connection to our body.